Jersey City Mayor Steven Fulop explained that his executive order banning the demolition of “Bayonne box” style homes is only meant to be temporary at a community meeting last night, which occurred prior to causing friction with Bayonne council members over a tweet. “The current law on the books was enacted in 1991 and what it said was that the city has the possibility of stopping demolition of any building that is 150 years old or old,” Fulop began when responding to a resident’s question at a Ward E meeting hosted at City Hall. Back on March 23rd, the mayor signed an executive order putting the brakes on demolishing any homes between one to four stories for six months, which has spurned a lawsuit by four companies seeking to build residential homes in the Heights (h/t The Jersey Journal). In response to the suit, Fulop said in a statement that the ban is only until the city council can amend the existing ordinance from 27 years ago. 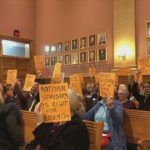 “As we have continued to explain to developers and residents alike, the demolition Executive Order puts a temporary moratorium on demolition permits until the City Council can rework the existing ordinance, a process that will likely take two months,” he said. Fulop continued that at the April 11th council meeting, the governing body will vote on the first hearing of a demolition permit ordinance that would bring the current standard of 150 years all the way down to 50 years. The mayor further stated that a hypothetical home that is 70 years old and “insignificant” would have no problem receiving permits for renovations or demolition. 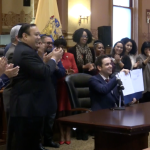 Explaining the timing of the executive order, Fulop stated that simply leaving the matter up to the city council would lead to a massive influx of paperwork being filed with the building department. 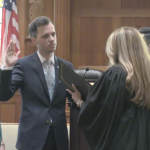 “So you’re look at essentially 35 to 40 days of a time period where every single builder in the city would say ‘Jeez, they’re about to say the demolition permit situation, I need to file my paperwork today,'” Fulop said regarding the period between the first council hearing and the time he signed it. Apparently the majority of the Bayonne City Council did not see the humor in the social media post though, sending out a joint statement demanding an apology. “Our city is in the middle of a total revitalization, with new developments bringing in millions in new tax revenue and creating a brighter future for our community. 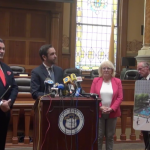 The last thing we need is a neighboring Mayor reinforcing old stereotypes and publicly attacking our city’s image, and I expect Mayor Fulop to apologize,” 2nd Ward Councilman Sal Gullace said. “I grew up in a ‘Bayonne Box,’ and so did a lot of my friends in town. 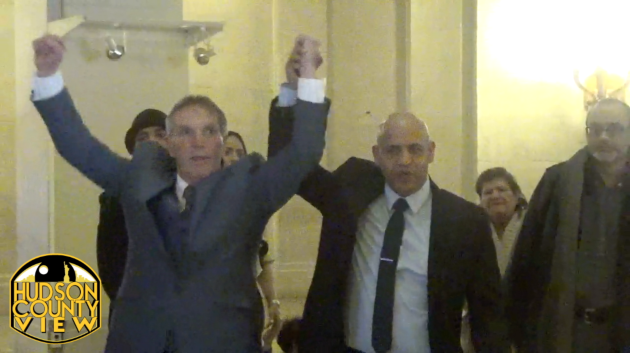 If Mayor Fulop has a problem in his city with construction that’s fine, but for him to drag Bayonne through the mud just to make a point shows what little respect he has for us,” added 1st Ward Councilman Tom Cotter. Council President Sharon Nadrowski also expressed that she was offended by Fulop’s tweet. “It’s one thing to make fun of a building design. It’s something totally different to insult the people that live inside them. You would think that Mayor of Jersey City, one of the biggest in the state, would have other issues to deal with besides insulting thousands of Bayonne residents,” she said. 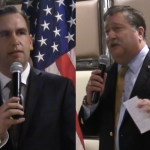 The trio of Bayonne officials, and anyone else, looking for an apology from Fulop shouldn’t hold their breath, as the mayor again took to Twitter to express his reaction.